Dr. Tamar Berman is an Environmental Toxicologist. Her main activities at the Ministry of Health involve regulating chemicals such as pesticides, chemical disinfectants, and drinking water contaminants; and developing policy on an array of topics including air pollution and endocrine disruptors. Her primary research interest is assessing exposure to environmental chemicals in the Israeli population. She holds a Ph.D. from the Hebrew University’s School of Pharmacy. 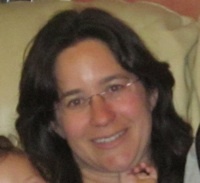 Tamar is the co-PI of the Center’s projects: Exposure of Israeli children to pesticides via food consumption and The Exposure of Pregnant Women and their Offspring to Endocrine Disrupting Chemicals and Organophosphate Pesticides and Associations with Fetal Growth and Development of Reproductive Organs.